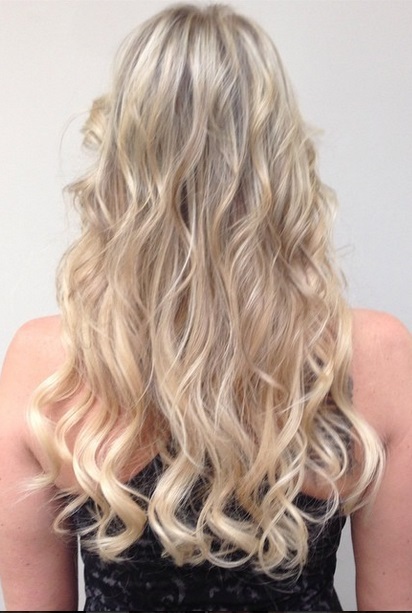 Kacey Welch, one of our resident master colorists and extensions experts, shares with us recent work of a client wanting longer, thicker hair along with a new and bright blonde. Kacey always custom colors extensions for her clients to match their natural growth. This makes the extensions, of course, blend in perfectly and undetectable.